Fill in your details below and we will let you know within 24 hours if we can get Terraforming Mars to you with haste! Coming to Mars was a big step...making it habitable will give us a new world! 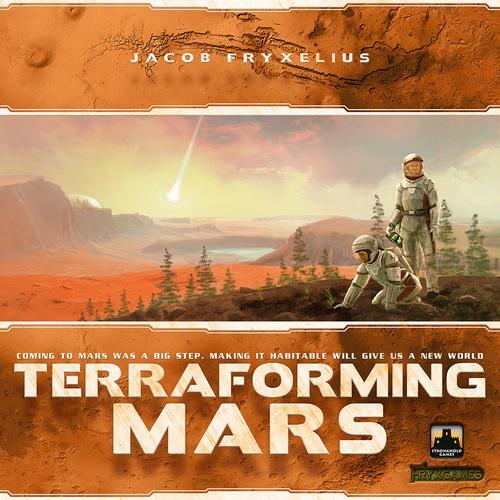 In the 2400s, mankind begins to terraform the planet Mars. Giant corporations, sponsored by the World Government on Earth, initiate huge projects to raise the temperature, the oxygen level, and the ocean coverage until the environment is habitable. In Terraforming Mars, you play one of those corporations overseeing the terraforming process. But, competition is fierce, with victory points awarded not only for your contribution to the terraforming, but also for advancing human infrastructure throughout the solar systems and other commendable achievements.